For the Union makes us strong!!! The following information appeared on Barnet Council website overnight. What do you think a new pay & grading means? What do you think new company terms and conditions means? What sort of Pension scheme will be on offer? 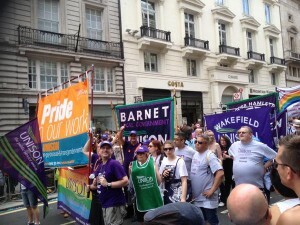 UNISON has already written to Barnet Homes and we are meeting next week. 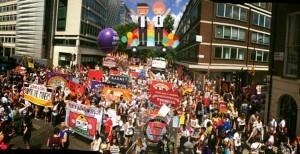 Lobby of Parliament Trade Union lobby of Parliament in defence of Public Services and Trade Union rights on 8th July, assemble at 1 pm in Parliament Square (opposite Westminster Abbey) Barnet UNISON meeting place is at Westminster Tube station at 12.30pm. ASLEF members on London Underground have voted overwhelmingly for strike action in a dispute over the company’s decision to try to force through, without negotiation, new rosters which would mean Tube drivers will have to work an unlimited number of weekend and night shifts for no extra pay. 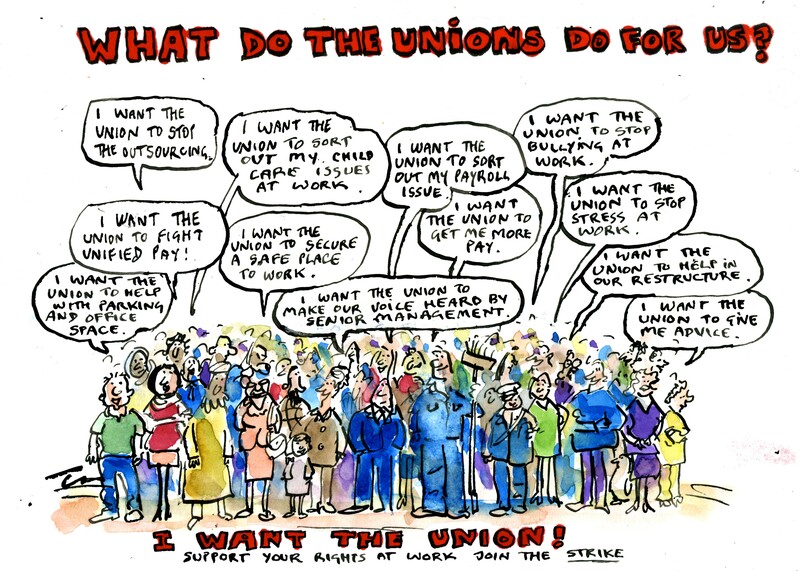 In a ballot conducted by Electoral Reform Services members of ASLEF, the train drivers’ union, were asked two questions. ASLEF’s executive committee has announced a 24 strike from 21.30 on 8 July that will see the entire tube network shut down. 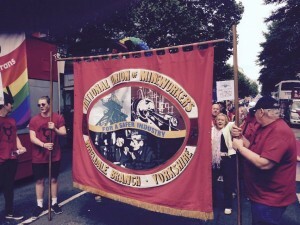 Finn Brennan, ASLEF’s district organiser, said: ‘There is a window of opportunity for London Underground managers to avoid a summer of disruption by seriously engaging with us to find a solution. They need to withdraw the threat to impose new rosters and make a realistic offer on pay and conditions. ‘We are always prepared to talk, but they have to start listening to this very clear message from their staff. Council tenants face rent increases – but plans to raise them to 80 per cent of the market rate have been scrapped. Under the proposals, to be discussed at Barnet council’s housing committee on Monday, new tenants on lifetime secure tenancies and all tenants living in newly built council homes will pay 65 per cent of the average market rent. Existing tenants face an average rise of seven per cent from April 2016 – an average of £7 per week – with the weekly increase capped at £10 each year until the target rent is reached. Flexible tenancy rents will be based on 50 per cent of average market rents for new tenants, and will increase to 65 per cent if renewed. The authority said the increases will raise £18.3million by 2020, and will help fund the building of 500 new council homes. Councillor Tom Davey, chairman of the housing committee, said: “This policy will help to provide much needed housing in Barnet, while creating a level playing field between council and housing association rents that will end the current allocations lottery. Labour councillors have accused the Conservative administration of a “major climbdown” after earlier proposals which could have seen rents rise to 80 per cent of market rate were dropped. Councillor Ross Houston, Labour’s housing spokesman, said: “This is an embarrassing major climbdown from the Tories on a policy they were hell-bent on implementing. “The council report makes clear that they have finally admitted people would not be able to afford the massive rent increase that was proposed. The proposals will be discussed at the housing committee on Monday, June 29. If the policy goes ahead, a public consultation will take place for ten weeks before the committee considers the results in October. Whitefields Regeneration and Housing issues. A meeting has been called on behalf of the local and surrounding community to help deal with the Regeneration project and Housing issues. Over 100 residents have signed and sent in Objections to the Developers and Barnet councils Compulsory Purchase Order (CPO). This will mean a Public Inquiry will take place, this will allow you the resident to voice your opinions. To make sure your views are not just heard but also listened to you have to go through a specific procedure. The regeneration project will affect everyone, their homes, their health, their financial future. If the CPO is agreed by the secretary of state it means that all home owners will only be able to sell their homes to one buyer and their buying price can come down to one person’s perception of what that person decides is a fair price. Your opinion will not count. Secure council tenants could lose their security and can be forced to move where the council and the developer wants the tenants to move to not where the tenants would like to move to. Putting at risk your secure tenancy. Unsecured and housing association tenants could have a very uncertain future. All the above is based on actual events that have already happened to other homeowners and tenants on other regeneration estates in Barnet. In recent months, Sweets Way Resists families and many others, have been denied entry to countless council meetings, public offices and councillor surgeries meant to be open to the public. IF WE ARE NOT WELCOME IN THE PLACES WHERE DECISIONS ABOUT OUR LIVES ARE BEING MADE, WE WILL CREATE OUR OWN SPACES TO MAKE THOSE DECISIONS TOGETHER. 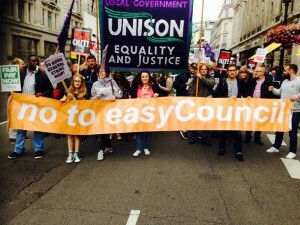 Join us in front of Hendon Town Hall as the Barnet Housing Committee meets, to discuss what we – the people of Barnet – can do together, to make sure our borough is not socially-cleansed of all but the ultra-rich. We are not going to beg, or make demands even – we are going to create our own housing agenda that reflects our needs and realities, and figure out the steps needed put it into action together! We want everyone in Barnet who cares about housing to get involved. There is no agenda, just a mutual commitment to figuring out what kinds of direct action we can take together to secure the housing we need, given the failure of the council or the market to provide it or protect it. ALL ARE WELCOME! SPREAD THE WORD! It is an appalling provocation by a tiny group of British neo Nazis who have announced an anti Semitic demonstration, in London, on July 4th. That it is proposed to be in Golders Green, an area, of course, where many Jews have long resided, among London’s multicultural communities, is doubly insulting, to all, Jewish and non Jewish. The choice of the Jewish Sabbath is a particular insult to observant members of the Jewish community. This is the second time Nazis have called a recent mobilisation against the Jewish community. However, their demonstration in Hackney could only get around 24 fascists including the long time fascist, ex National Front leader, Martin Webster. Fortunately, local anti fascists resolutely opposed the Nazis. 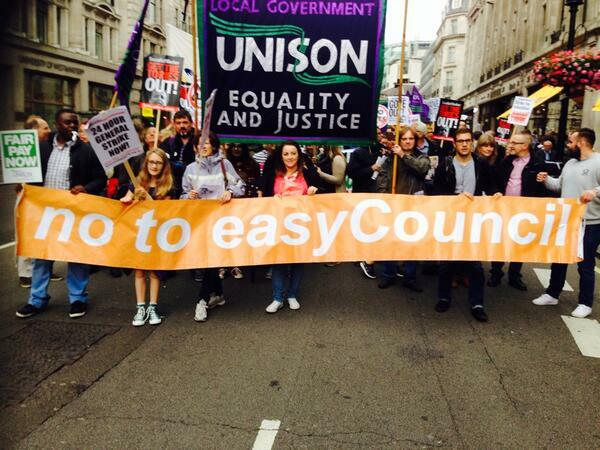 The Clapton Nazi event in April, was opposed by hundreds from the diverse area, that is East London. They did not pass, and nor should there be any platform again, for these little Hitlers. This sickening, fascist move is particularly repellent in the year that marks the 70th anniversary of the liberation of Auschwitz. The fascists will be opposed by all who detest their poison. Quite rightly, Jewish groups, including the Board of Deputies of British Jews, have condemned what is totally unacceptable. This is not solely a matter for Jewish people but for all who believe in democracy, freedom of faith, and oppose Nazism. It is essential to say ‘the Jewish community has every right to express its opposition to this demonstration’. In a climate of Islamophobia and anti Semitism across Europe with the likes of the Front National, Jobbik and Golden Dawn, pushing such filth, we need unity. Webster and Griffin were defeated by mass movements against their filth. We need a big protest to show that Nazism is rejected by the vast majority. 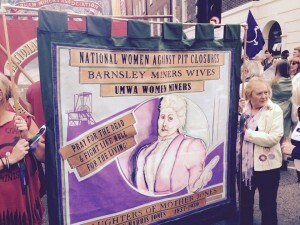 The EDL have been severely weakened by community mobilisations and the active support of trade unionists, and those of faith. 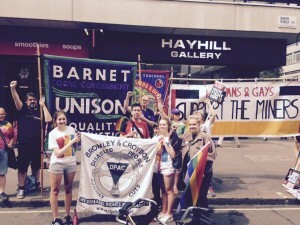 UAF calls for all anti fascists to stop the new Nazis getting a toehold in London. We ask you to sign this statement, and publicise it/ the anti fascist demonstration, on July 4th, in your school, college, work place, faith group, community. 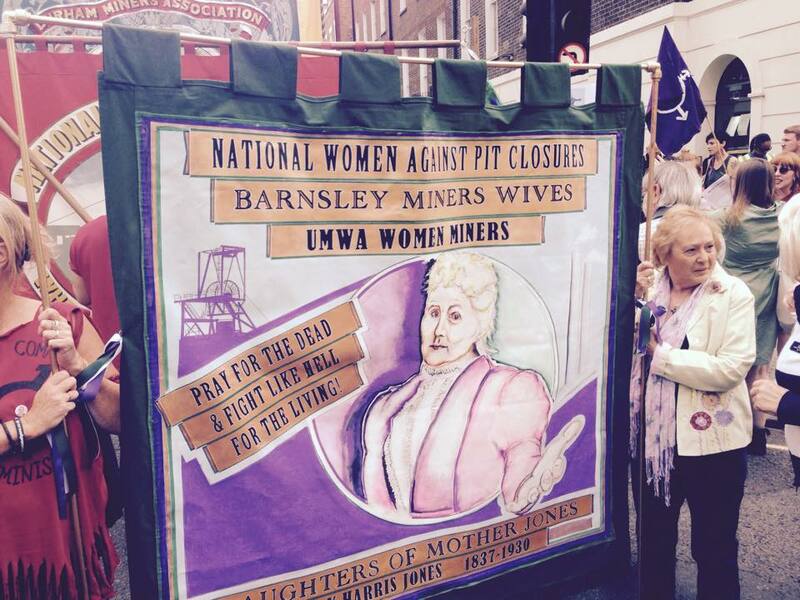 Send signatures to info@uaf.org.ukwith Name-Trade Union-Workplace-Faith Group etc. Julia Bard, National Committee, Jewish Socialists’ Group. 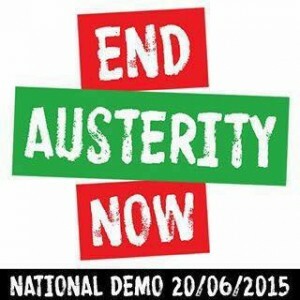 Community activists from Barnet are joining together on Saturday the 20th of June for the End Austerity Now National Demonstration. The March sets of from the Bank of England (Queen Victoria Street) at 12noon and finishes at Parliament Square. Alongsi de the other three recognised trade unions in London Underground, TSSA will shortly ballot members on strike action and action short of strike. 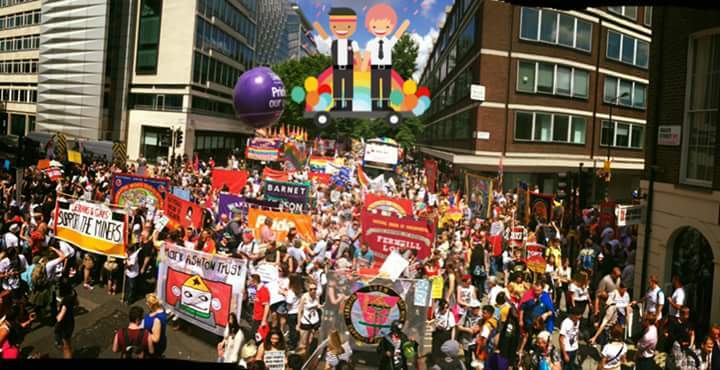 This follows the breakdown of talks on pay and Night Tube, LU’s attacks on staff terms, conditions and working practices, and management’s ongoing refusal to engage in meaningful negotiations and consultation with the trade unions. LUL has failed to negotiate or consult meaningfully with TSSA in regard to pay, Night Tube and Fit for the Future Stations (FFTFS) and are seeking to impose a two-year ‘no strike’ deal. Management are not adhering to the spirit and letter of the Machinery of negotiations, and are attempting to make changes to existing Framework Agreements and working practices without due process and negotiation. LUL’s approach is reminiscent of that adopted last year by Transport for London management, and if unchallenged, LU will seek to further attack pay, terms and conditions and pensions. They have already cut pay for new starters, and new P&D procedures, imposed in TfL, have recently been introduced into LUL. TSSA believes it is only a matter of time before LU seeks to impose Pay for Performance; a system imposed last year by TfL which indefinitely freezes the pay and pensions of longer serving staff. – A change can be made to your duties at 24 hours notice. – 30 minute travel time guarantee is ABOLISHED. Instead, there is a 45 minute maximum travel time from the mid-point of the group. – Staff who do not give 24 hours notice that they are unable to undertake planned overtime will be barred from further overtime for 28 days. – Minimum period in which two consecutive shifts, totalling a maximum 18 hours, can be worked is halved, from 28 to 14 days. – No provision for the 12 weekly cycle. We are still awaiting proposals for new Framework agreements to reflect changes to working in MATS and Service Control, despite having raised these issues over the last year in discussions about Night Tube and FFTFS. 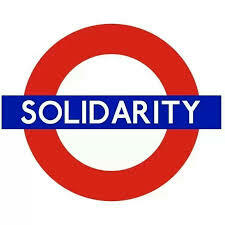 We believe that LU is committed to a wholesale for all of our members across London Underground. – CSAs working more nights and weekends, with less opportunity to take up extra leave dates or mutually exchange their duties with colleagues, and could lead to duties being changed at shorter notice and more extreme shift changes. – Stations Supervisors and Service Control Staff will not only be expected to work far more nights, but under Night Tube many of these will become traffic hours. – No minimum numbers in many stations, meaning an increase in lone-working, and some stations being unstaffed, despite LUL’s promise that would not be the case. – Ticket offices will not be open at night, and CSAs will be expected to cover gate-lines and deal with ticketing and other enquiries from the public. – Night Tube will run only 4 trains per hour, meaning that travellers will be hanging around stations for a longer, potentially in an inebriated state. – Virtually no stations running Night Tube have public toilet facilities, and few public conveniences will be open outside tube stations at night. – Many stations will only be part-open and LUL is now reneging on its commitment to provide fixed, lockable gates to secure non-operational areas. Instead, LUL is proposing less secure tensa-barriers, making it easier for people to access non-operational parts of the station where engineering work may be taking place. – There is an increased likelihood of homeless people using trains and/or stations as overnight accommodation. This issue has already been flagged up by BTP. TSSA’s H&S reps have been constantly questioning LUL management regarding their plans for operating Night Tube, and the consequent difficulties it will create for staff to evacuate and control numbers as and when necessary. LUL’s responses so far have been evasive, unhelpful and lacking in clarity. LUL’s offer of a one-off £500 payment in return for successful implementation and ongoing deliver of Night Tube is an insult to LUL staff.